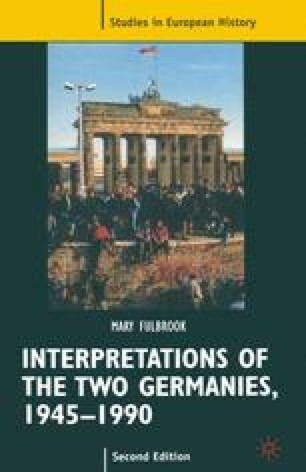 One of the most interesting features of the two Germanies is that they were both founded as conscious attempts to create new — and very different — forms of society and politics on the basis of a discredited and discarded past. The division of defeated Nazi Germany, and the foundation of almost diametrically opposed capitalist and communist systems, was an experiment perhaps unparalleled in history. The record of their development is at the same time the test of that experiment: it is to a certain extent the test of social and political theory in practice.